The Dallas data center market expanded this week, as RagingWire hosted the grand opening of their first data center on their Garland campus. The new facility (TX1) was built on 42-acres purchased by RagingWire in September 2015. TX1 will offer 16 MW of commissioned power and 118,000 SF of raised floor at when fully delivered, with private suites and wholesale colocation options available. A dedicated on-site substation is planned for the site as well, providing redundant power feeds from two separate substations. Furthermore, the facility will feature 34 MW of backup generator power, and their patented 2N+2® infrastructure design. This will allow RagingWire to offer a 100% availability SLA. RagingWire is strategically located in two other data center markets. The company operates three data centers in Sacramento (CA1, CA2, & CA3), and two facilities in Northern Virginia (VA1 & VA2). They are currently under construction with their third data center in Northern Virginia (VA3) on a previously owned site that will be their new campus for years to come. 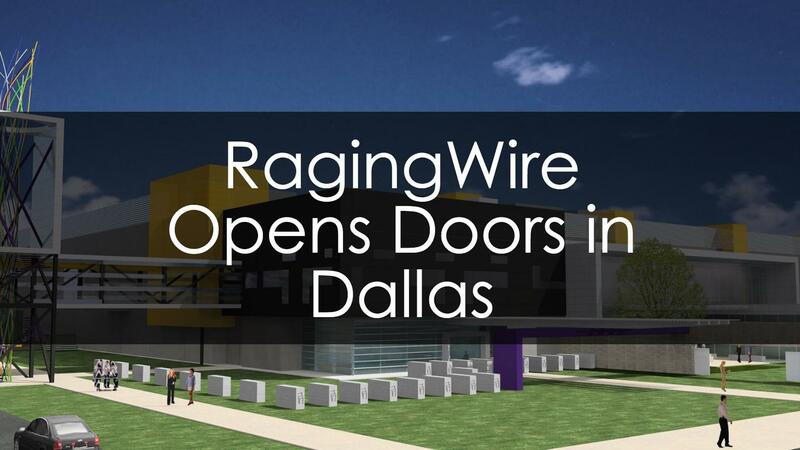 The addition of the Dallas campus connects RagingWire’s East and West Coast locations and provides a national platform for their customers. Similar to Sacramento and Northern Virginia, RagingWire has big plans for their Dallas campus, as the 42-acre site can accommodate over 80 MW of commissioned power in multiple buildings when fully delivered. The campus approach (and ability to deliver multiple facilities) provides flexibility for RagingWire as they work to meet the evolving needs of data center users. Digital Realty is progressing with the largest facility on their Richardson campus, 1210 Integrity. The company recently delivered the second 6 MW of commissioned power in the facility and is active in the market. With eyes to the future, Digital Realty purchased a 48-acre site in Garland in 2016 (within close proximity to RagingWire). Development on the site is expected to begin when their Richardson campus is close to leasing completion. QTS recently purchased an existing data center in Fort Worth from Health Care Services Corporation (HCSC). QTS will build out the remaining capacity in the facility (HCSC remained and leased a portion of the facility) over time. The purchase also included additional land for development, as demand increases in the future. T5 Data Centers is under construction on their Plano campus with T5@Dallas-III (approximately 2.15 MW). The facility is adjacent to T5@Dallas, their first data center in Dallas. T5@Dallas-III will provide 11 MW of critical capacity when fully delivered. 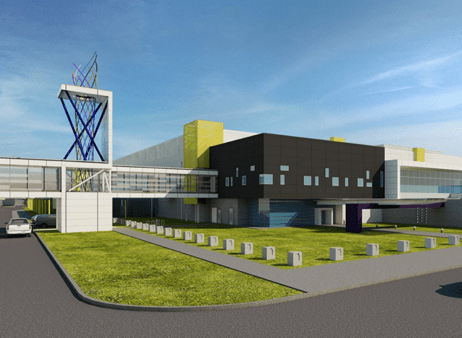 Skybox Data Centers recently delivered the first phase of their data center in the Legacy Business Park as a powered shell, designed to meet the needs of large data center users. The site is designed to accommodate an expansion of the existing data center, and up to two additional data center facilities. Stream Data Centers is under development on their Legacy Business Park data center site. At full build, the data center can provide up to 25 MW of critical capacity. While the Dallas data center market is extremely competitive, RagingWire’s Garland campus provides another solid option for companies in the area, and the provider is well positioned to meet future customer demand for years to come. To learn more about RagingWire or the Dallas Data Center Market, please visit www.datacenterHawk.com.